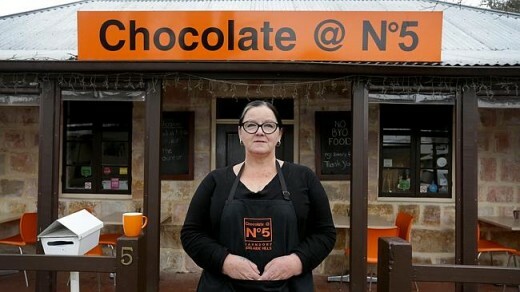 Alison Peck, of Chocolate @ N°5 cafe in the Adelaide Hills is accusing Chanel Inc. of bullying after they called her out on using branding similar to Chanel’s famous Chanel N°5 perfume. Unfortunately for Peck, Chanel are right in this case – but Pernod Ricard, who called a winemaker out for branding a wine Dadd in a cheeky homage to Pernod’s famous Mumm champagne – would not have won a legal battle on copyright infringement. So where do you draw the line? The golden rule for impinging on a brand’s copyright is to gauge three noticeable aesthetic similarities. The capitalised place name beneath. Peck maybe just felt that ‘similarities’ are in the eye of the beholder, but in the case of billion-dollar brands, they really aren’t. Tiffany & Co. have trademarked the physical attributes of the colour blue they use with international design and colour standards, and you don’t see very similar versions of the Mercedes logo around. Brands are plenty tangible. Cafe operator Peck only ran into trouble when she asked to officially trademark Chocolate@ No. 5. In doing so, she flagged her use of the phrase ‘No.5’ with the Australian trademarking authorities, giving Chanel Inc. cause to assess Peck’s use of the brand. If the brand was just called Chocolate @No.5, and the logo had some similarities, Chanel couldn’t have come down on her. No.’ is a common abbreviation for number, Chanel can’t brand that, and Peck is at No.5 on her street – of course that’s a legitimate business name. Peck’s mistake was in using the small ‘degree’ logo to indicate the No.5. That’s a much more conspicuous, tangible imitation, which gave rise to Chanel Inc. to notice and point at the brand’s other similarities as genuine infringements. By contrast, calling a wine Dadd in contrast to Pernod Ricard’s Mumm is much more debatable. South Australian winemaker D’Arenberg ran afoul of Pernod Ricard when D’Arenberg named their sparkling white wine Dadd, a cheeky homage to Pernod Ricard’s Mumm champagne. But that’s all it was. Cheeky. Not a copyright infringement. Pernod Ricard can’t claim that Dadd is an impingement on Mumm any more than Microsoft can claim that an operating system called Doors is an impingement on Windows. The use of the double d at the end of Dadd is similar to the double m at the end of Mumm. That’s where the identifiable similarities stop. 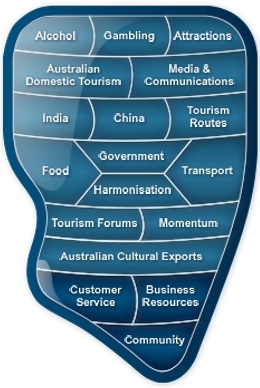 If D’Arenberg were in some other way marketing Dadd in conjunction with Mumm – maybe by having the products sold side by side, with similar pricing etc., then Pernod Ricard would have a case – D’Arenberg would then be implying that their Dadd brand was a pairing of Mumm, which would be an infringement. In the meantime, sending out lawyer letters, whether or not the plaintiff corporation would have a case, is an effective and technically legitimate way of safeguarding billion-dollar brands. In Peck’s case, and in another example used by News Corp below (Audrey Chanel Ink Designs), two women did think they could take some of Chanel’s cache and use it for themselves. You don’t develop a billion-dollar brand like Chanel by letting small business people chip away at it. Global fashion brand Chanel has taken aim at an Adelaide Hills cafe owner over the number five in her brand name in a bid to protect its famous Chanel No 5 perfume. 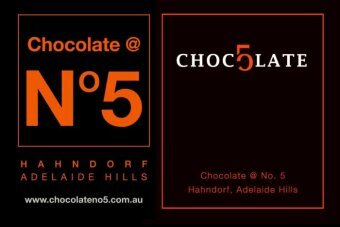 Alison Peck is the owner of Chocolate @ No 5, named after its address at 5 Main Street, Hahndorf, and which has operated under the logo since 2007. Ms Peck said she felt bullied by Chanel lawyers, who have forced her to remove the trademark. She recently applied for the trademark to clarify its brand from a Melbourne chocolate business with a similar name. “I’m very frightened of getting backlash so I’m complying with their request. My chocolates are only available in-store in Hahndorf, and we’re a very small business,’’ she said. Ms Peck said she was out of pocket by more than $5000 from the failed trademark registration and costs of changing logos. Her shop signage would change soon. Chanel lawyer Shelston IP partner Sean McManis said he would not comment on Ms Peck’s case but said the firm was regularly involved in policing trademarks for Chanel to protect the brand. The law firm also took measures against West Australian artist Claire Floss, who named her greeting-cards business, Audrey-Chanel Ink Designs, after her nickname and her pet rabbit, Miss Chanel. Shelston IP said Ms Floss had infringed Chanel’s Australian trademark rights, which cover paper and cardboard products. The story echoes a similar trademark stoush between South Australian winery D’Arenberg and French drinks giant Pernod Ricard, owners of Mumm Champagne, over the winery’s cheekily-named Dadd sparkling white, after it came to the attention of the owners. Winemaker Chester Osborn said at the time his products did not pose a threat to the Mumm brand but that he did not want to fight the larger company with deep pockets and so phased out the brand last year. D’Arenberg brand manager Natasha Stoodley sympathised with Ms Peck yesterday. “I struggle to see any connection with a chocolate shop and a company which sells perfume — they’re in a completely different industry,’’ she said. Ms Peck said she had refused to comply with other demands from Chanel, which included an undertaking to change her business name if she ever moved premises and limitations on the use of the word “five”. An Adelaide Hills chocolate maker has been forced to change her business’ logo after being threatened with legal action by global fashion brand Chanel. Alison Peck decided to trademark the name of her business, Chocolate @ No.5 in Hahndorf, after it was inadvertently tagged in an Instagram post meant for a Victorian business with a similar name. “We were a bit concerned about that and we wanted to protect our trademark for our logos so I went ahead and put applications in to register the trademarks,” Ms Peck said. The lengthy process was due to wrap up in early June when Ms Peck received a letter from Chanel’s attorneys opposing the trademark registration. The fashion label was concerned Ms Peck’s logo was too similar to that of its popular perfume Chanel No.5. “There’s an opposition period for a couple of months and that’s when the attorneys from Chanel picked up on it and I got a letter from them saying I needed to withdraw those and if I didn’t I’d be facing certain consequences,” Ms Peck said. Ms Peck said she felt she was being “bullied” into agreeing to a number of terms, but refused to sign any requests made by the company. Chanel’s attorneys wanted Ms Peck to agree to change the business’ name if it moved premises, and even wanted to impose limitations on the use of the word ‘five’. They also wanted Ms Peck to agree to not oppose any application by Chanel in any of the classes she had tried to register in. “So even in a chocolate class, if they wanted to register Chocolate No.5 I wasn’t allowed to oppose that at all,” she said. “There were a lot of questions and a lot of things they wanted me to do which were out of the realms of where they should be asking, and I wouldn’t stand for that. Ms Peck is now out of pocket $3,000 to $4,000 for the wasted trademark registrations and had to pay to rebrand the business’ logo. Ms Peck will also have to purchase new labels for her products, and signage for the front of the business. “I told them we were changing the logo and that’s been done and obviously there will be ongoing expenses, changing labels that sort of thing, but that’s a slow process,” Ms Peck said. “I’ve signed nothing with them. There’s no undertaking that we’ve given them we just said that we would not use the No.5 logo. Ms Peck bought the business, which already had its name and logo, in March 2010. 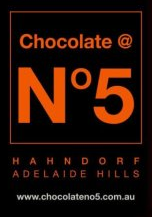 The name Chocolate @ No.5 comes from the business’ address, which is 5 Mount Barker Road. While things have now settled down, Ms Peck said Chanel’s attorneys have told her they will be monitoring the business for any breaches. “They are going to monitor what we are doing and if we overstep what they think are their boundaries, there’s sort of an implied threat there that they will take further action,” Ms Peck said.